AFT1493 | Sept. 2014 Advocate – What is the purpose of our work? Sept. 2014 Advocate – What is the purpose of our work? What is the purpose of our work? Every spring we conduct commencement ceremonies. At the end, students toss their mortar boards up in the air. They leave their seats to find their families. Then they hug relatives as new and different people. Graduating from a college is a milestone in our culture. When education is at its best, graduates are not the same as entering freshman. They leave as professionals. They add vitality to civic life. To some degree, we all understand the broad, transformative purpose of education. Even so, in the past two decades, attempts to assess our work have focused, narrowly, on the short-term cognitive gains that students make, or fail to demonstrate, in courses and degree programs. On some level, as educators, we know that our goal is to help students build new identities—those of nurses, fire fighters, artists, scientists, technicians, citizens, etc. But recent efforts to evaluate our work have centered on one feature of education: cognitive learning. In 1995, Robert Barr and John Tagg published, “From Teaching to Learning: A New Paradigm for Undergraduate Education.” The article proved itself one of the most widely cited and influential writings of the time. The buzz around the essay grew so great, interest in learning took on the character of a movement. The drive caused many institutions to describe themselves as “learning colleges,” expressly devoted to cognitive development. At the same time, and partially as a result, we also began to forsake our broader roles, in the lives of students, and the culture of the nation. In order to convince us to reduce our conception of education to learning, Barr and Tagg questioned the historic values of academics. In the past, when we thought about “going to college,” we pictured students engaged in an experience. That experience involved stretching out beyond home and work, searching for a new type of self, and then taking on the traits that we associate with educated people: dignity, thoughtfulness, idealism, etc. We used to see going to college as a rite of passage. Historically, staff and faculty thought of their work in terms of providing a cultural experience, but Barr and Tagg and their successors convinced many of us to shrink our thoughts down to the point where we see education as a cognitive product, as opposed to a cultural process. Short-term cognitive outcomes lend themselves to measurement, but the real purpose of schooling is to give students a chance to address questions, such as, “Who am I and what can I become?” In Why Read, Mark Edmundson added two more questions that students ought to ask, “What is this world in which I find myself? And, how can I change it for the better?” For centuries, the process of becoming educated served as a chance for students to form new ways of seeing themselves and relating to others. Studies of knowledge acquisition cannot assess what it means to become a graduate of a college or university. The process of documenting learning does little to help us understand how our graduates present themselves in a work setting, as members of families, or while taking part in community events. We cannot describe a graduate’s personal, civic, or professional identity by testing memory or skill. The most meaningful outcomes of schooling relate to the traits that students develop. Traits come about, and they endure, to the degree that they become a part of one’s identity. The human identity or “self” is a story. We use narrative to build a sense of who we are. We are the life stories that we create and present to people. The most crucial feature of a college education is that it offers students a chance to develop a new story—one that allows them to explain who they are, to themselves, and to those they know. In the long run, colleges become alma maters: settings for key chapters of our stories. Those stories about who we are and where we are from turn into reservoirs that we revisit, time and again, for insight, direction, and counsel. More so than the bits of knowledge that we remember for tests and then soon forget, it is the memory of the college experience that gives students an avenue on which to maintain the traits that we associate with educated, i.e., curious, creative, analytical, and civic-minded people. Learning is ubiquitous. It occurs all the time, everywhere, even online. Learning can take place while people watch TV. It happens when viewing a podcast. No one doubts that we learn through a range of methods, but the education-as-learning metaphor keeps us from asking big questions about what it means to attend and graduate from a postsecondary school. For example, students can learn online, but we rarely ask if you can become an educated person by visiting websites. Can you become an educated person by watching podcasts? The learning metaphor keeps us from raising such questions. Too often, we assume that our purpose is to produce learning, and we forget that our real charge is to create an environment where entering freshman become college graduates. If we fail to tackle the common, but faulty, assumption that we are in the business of manufacturing, and learning is our product, schools will continue to change in consequential ways. For example, the learning-as-product metaphor provides the rationale for using adjunct faculty. Learning proponents argue, “Why invest in full-time teachers when learning is all that matters?” The learning-as-product mindset justifies MOOCs and online curricula. Digital learning advocates ask, “If you can learn online, why should students or the public pay to build or maintain campuses?” We often leave these questions unchallenged. Few of us have been willing to make the case that the role of a college is to provide a social environment where students can develop the traits that we attribute to educated citizens—past and present. Barr and Tagg suggested, if we reduce education to learning, the enterprise could one day break free from the need for “live” teachers. But it takes campuses, faculty, and an educational experience to turn freshman into graduates. The process of becoming an educated person is a ritual and a rite of passage. In our culture, the process requires people, places, and memorable experiences. In the months and years ahead, faculty will do well to remind students, administrators, and the wider public that education involves more than learning, in a cognitive sense. To know the impact of our work, we will need methods other than those of educational psychology. We will need the perspectives and techniques of anthropologists, sociologists, political scientists, writers, philosophers, and historians, among others. We live in an era where the importance of our work is no longer taken for granted. Therefore, we must communicate the value of teachers and campuses. To do so, we will need to stop shrinking our conception of the college experience down to cognitive learning—a stimulus and a response. The institution of higher education is not the same as a Skinner box. 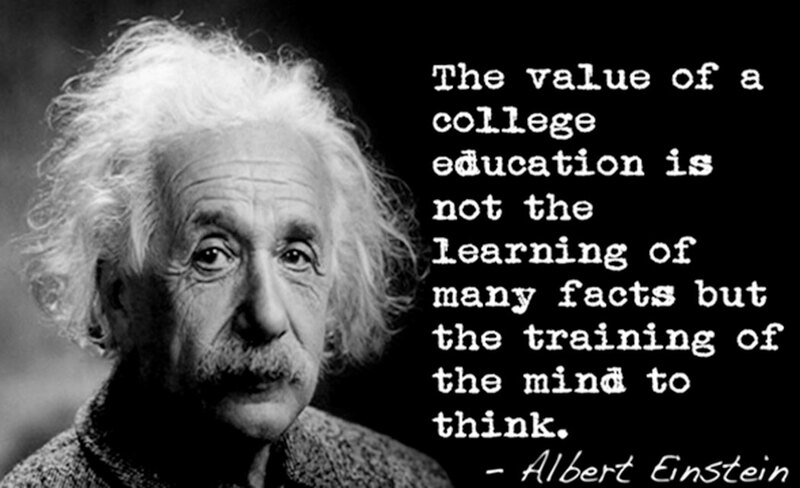 Even B.F. Skinner understood, “Education is what survives when what has been learned has been forgotten.” At its best, higher education is a life-changing process. It is time to start taking stock and taking pride in our efforts toward that end. 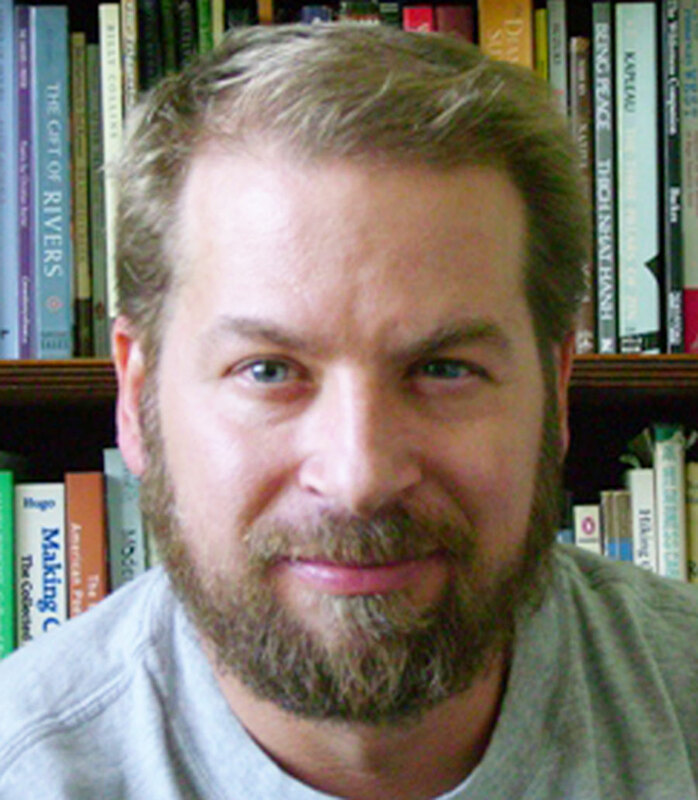 Chad Hanson serves as chairman of the Department of Sociology & Social Work at Casper College. He is the author of The Community College and the Good Society, and the editor of In Search of Self: Exploring Student Identity Development. For more information, visit:www.chadhanson.org.